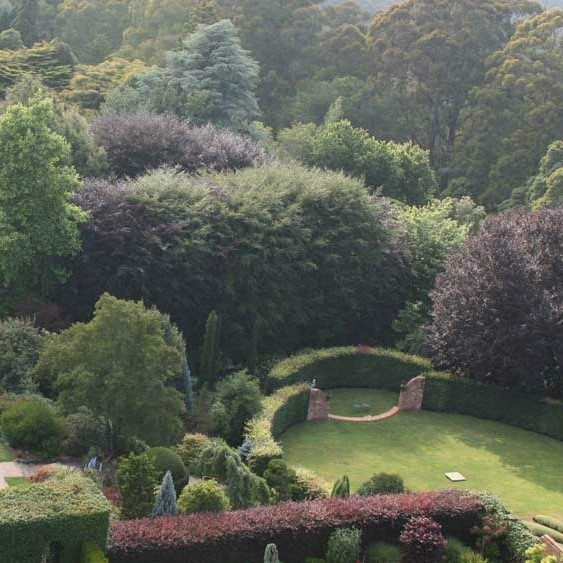 Cloudehill Gardens, in the heart of the Dandenong Ranges, is one of Australia’s most famous gardens. This is must see garden. 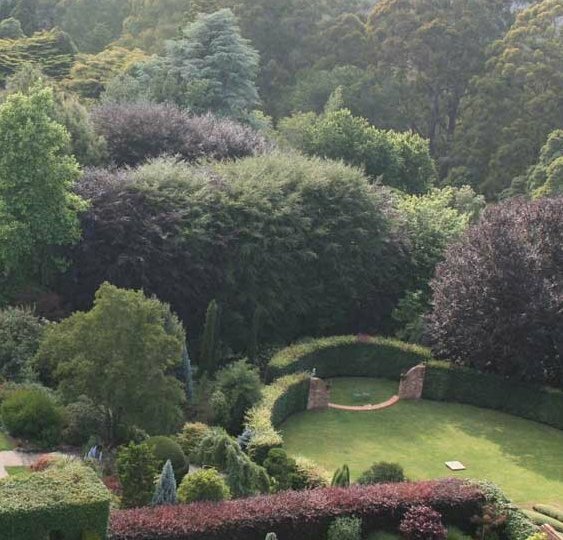 Mazes of stone walls and jewel like garden rooms are set within woodlands of magnificent and historic, cool climate trees. It is privately owned by Jeremy and Valerie Francis. They do a wonderful job overseeing the design and up-keep of the garden areas. Some 20 garden compartments are threaded through with 80 year old European beech, magnolias, maples and a collection of fabulous Himalayan tree rhododendrons. All are beautifully grown and a testament to the lush, moist soils of the Dandenongs. The garden is also highlighted by glorious herbaceous borders. These focus on two of the finest Japanese weeping maples to be seen anywhere in the world. Cloudehill offfers a magnificent variety of tree species to the year-round flower shows and features. 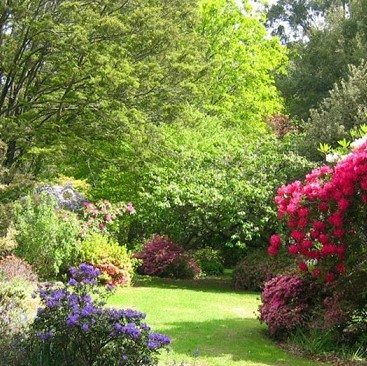 These include the Theatre Lawn holding Shakespearean Twilight Evenings, the Glades, the Water Garden, the Peony Pavillion and also the art and historical sculptures. A display of this calibre offers something for everyone. While you’re there, don’t forget to visit the Diggers Club Shop, the Seasons Restaurant, and of course the Eden Glasshouses Display! 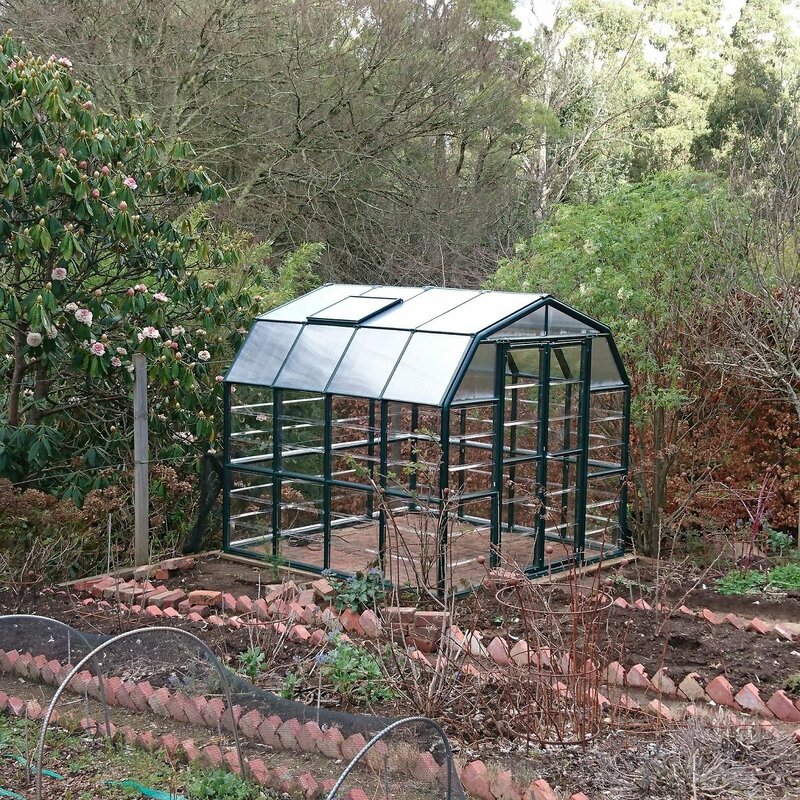 Likewise, the Diggers Garden Shop also has a wide range of plants on offer and specialises in Diggers signature heirloom seeds, cottage flowers and edible plants. These are complemented by a range of flowering shrubs and cool climate trees.